I have spent a few days in the beautiful Cinque Terre Area (located in Liguria, Italy). It is an area of rugged landscapes, with hills falling directly in the sea. On the hills, terraces were built to allow some agricultural activities. Quite a part of the area is covered with vineyards, but there are also many other trees, including olives, lemon, cherries to name a few. 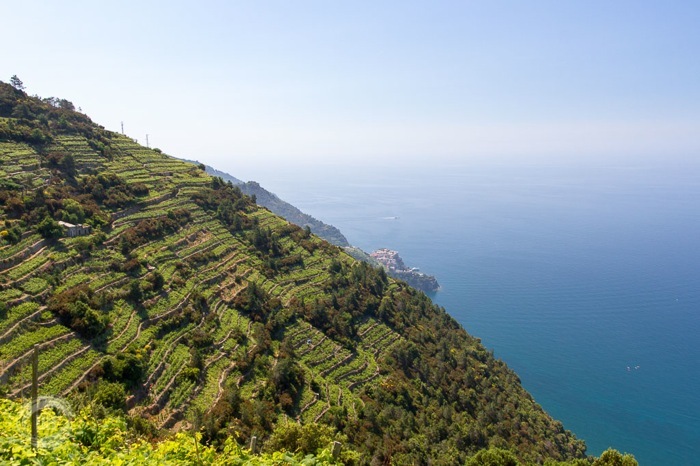 The five villages of the region are Monterosso al Mare, Vernazza, Corniglia, Manarola, and Riomaggiore. More pictures are on this page.